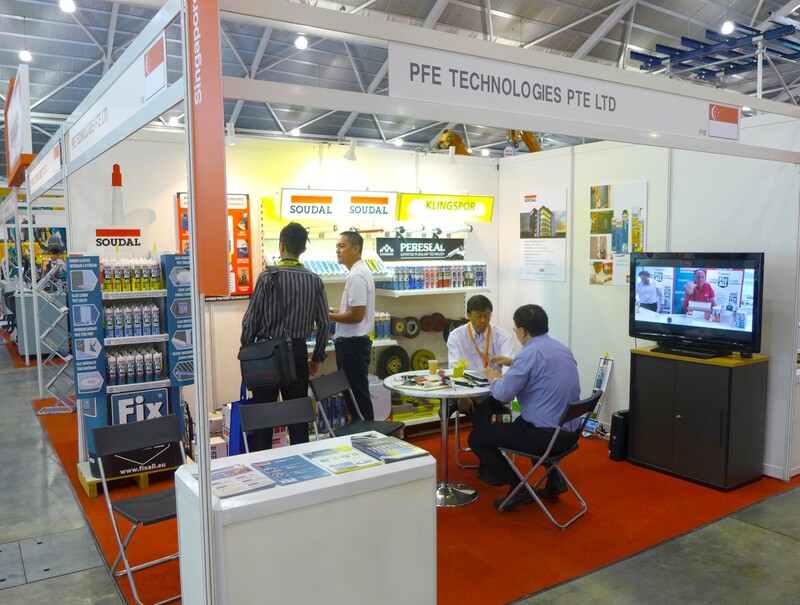 You are here: Home / News / News / PFE Technologies has successful fair at BuildTech Asia 2014! 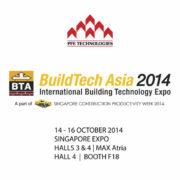 PFE Technologies is proud to have participated in Singapore’s construction fair, BuildTech Asia 2014 last week! 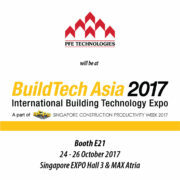 Organized by Sphere exhibits and hosted by BCA (Building and Construction Authority of Singapore), the fair was an excellent platform to exhibit and demonstrate our high quality, high effectiveness products. 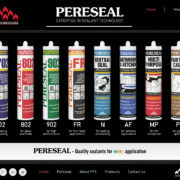 On display were our Pereseal range of Made-in-Singapore sealants, particularly showcasing our brand-new redesigns and our large range of acrylic and silicone sealants suitable for a wide range of applications, including anti-fungal silicone sealants for use in sanitary applications in bathrooms and kitchens, as well as our fire-rated acrylic sealants. 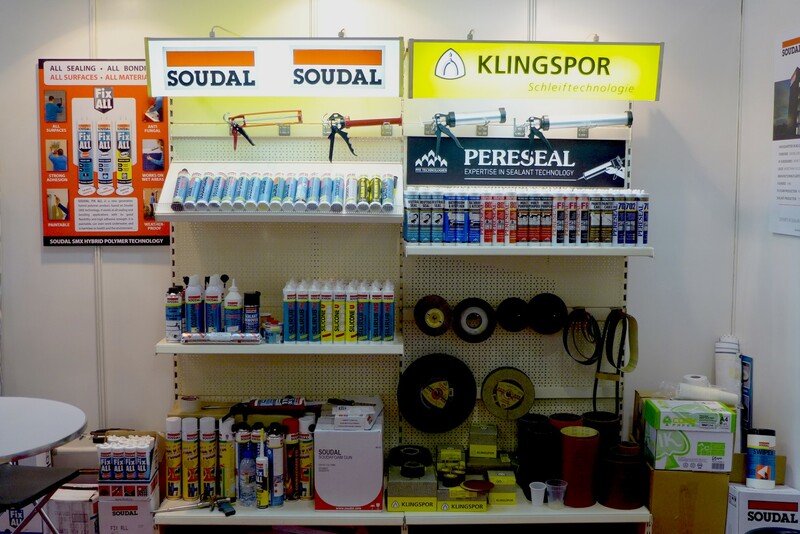 Soudal had a prominent presence as one of our brands, showcasing to the construction industry the advanced-technology, high-efficiency products from Belgium. Of particular interest to most visitors was our extremely versatile, easily workable, eco-and-health friendly product, Soudal Fix All. Doing live product demonstrations, many visitors were instantly impressed and already convinced of the effectiveness of the Fix All range of Soudal SMX hybrid polymer products. 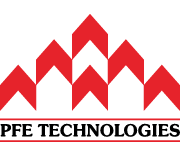 In addition, PFE Technologies was on hand to introduce the Soudal PU foam range, also doing onsite live demonstrations to show visitors how to use and handle PU foams, and what to expect in an application. 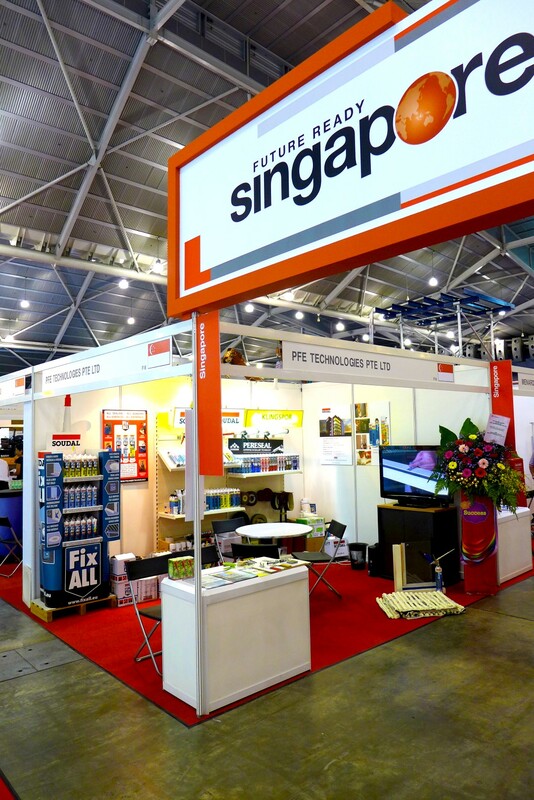 Klingspor’s range of abrasives also had an prominent place in the exhibition stand, and PFE Technologies was actively showing off the range of cutting and grinding discs pertinent to the construction industry. We would like to thank the visitors who took the time to visit our booth and learn more about our products, and we hope to see everyone again soon!